Charley Hoffman, who five years ago closed with a 62 to win at TPC Boston, made birdie on half of his holes for a 63 that gave him a 3-shot lead at the Deutsche Bank Championship. Spain's Miguel Angel Jimenez shot a 9-under 63 Thursday for a one-stroke lead on the opening day of the Turkish Airlines Open. Defending champion Ryan Moore will draw on the experience of last year's narrow victory when he enters the final round of the CIMB Classic on Sunday tied for the lead with Kevin Na. 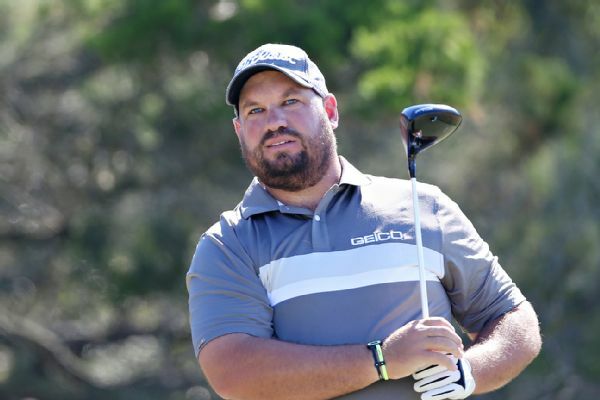 Brendon de Jonge of Zimbabwe withdrew from the Rio de Janeiro Olympics on Tuesday because he didn't want to miss two tournaments in his bid to keep his PGA Tour card. Ian Poulter picked up five shots through 14 holes of the second round to move into the lead of the Turkish Airlines Open before play was halted Friday because of the weather.